Not only do I now own a church, I own a church sign. In the first days of clean-up and demolition, my Beloved found the box of letters to create a new message in the sign so I did what I do best and that’s write. Today, if you didn’t already know it, is the first Sunday in Advent, and I was inordinately pleased with myself to post this message. Its meaning applies literally to the church season and to the process of cleaning up corners and tearing down walls inside our 119-year-old Methodist church as step one in our renovation project. In homage to the season (and the double message with new meaning for me this year), I’m reprinting this post from the Minnesota Transplant archive, publishing originally a year ago. While the secular world recovered from a Thanksgiving dinner-induced food coma and then leapt loopily into Black Friday-Small Business Saturday-Cyber Monday (which for many overeager online retailers began on Friday), Christians rang in a new year. Today is the first Sunday of the liturgical year which is to say the First Sunday in Advent. Advent is the run-up to Christmas, a liminal season of expectation. But to describe it only as a time of waiting sells Advent short, just as the days between Thanksgiving and Dec. 25 are more than simply an out-of-breath sprint to be endured. For me, it’s not this time of year without spending some time in church. Sitting (and standing and singing and praying) through a worship service slows down time. This is not a post about why you should go to church. That’s your call. This is a post about why I go to church. For me, Advent is the best time of year to spend some time in church, to be observant to the reason for the season. Christmas is all crowds and gifts and traditional-in-the-extreme music (let’s just say I’m not a fan of “Silent Night, Holy Night”). Lent, too, is a run-up season, preparing Christians for Easter, but Lent and Easter are solemn. The messages are heavy on crucifixion and death (yes, and rising again, I know, but rising from the tomb). I went to Catholic Mass last night for the first time in years, maybe even a decade. It was a beautiful quiet service in an enormous church where hundreds of people were doing the same thing I was — celebrating the new church year. I was reminded how lovely is the ritual of Mass, so familiar and universal. I was once Catholic, but when I got divorced, I reverted to my origin religion, Lutheran. A week ago, I read the scripture lessons for the last time at the Lutheran church where I am a member. 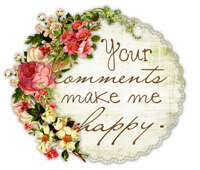 I resigned my position as reader in anticipation of moving away. Coincidentally, it was also the last Sunday of the church year. I kind of felt like I was throwing off the bonds of responsibility and the old year and the old way of worshiping all at once. Celebrating the new Christian year for me meant Mass in a big, beautiful church. Which is how I found myself last night in church I’d never been in before soaking up Bible readings about waiting and preparation and expectation. It is the perfect message on which to meditate for a woman waiting (and waiting) to sell her house. Advent is not an empty time, I was reminded. It is a season of fullness. Because preparing is just as meaningful as celebrating. Anticipation should be as joy-filled as the hullabaloo for which we’re waiting. Pondering Advent and the imminent celebration of the birth of Christ, I was reminded of a scene I appreciated earlier this year. This is the Nativity Façade at the Sagrada Familia, aka the Basilica and Expiatory Church of the Holy Family in Barcelona, Spain. The church was designed by Spanish architect Antoni Gaudi. The structure is so elaborate, it has been under construction since 1882 and remains incomplete. This is the entryway to the church, and I snapped this picture when I had the opportunity to tour it in June. As you might expect, the Nativity Façade is dedicated to the birth of Jesus. A single figure is itself a fantastic sculpture, and here there are hundreds of them. But let’s look at the central point of interest there, right above the two doorways of entry. This sculptured wall is the entryway to the church (inside is entirely amazing experience in itself). But before you even get inside to see it (and, presumably, participate in Mass), this enormous highly detailed art greets you. You could spend days gazing at each sculpture, taking in the meaning, and you’re still outside the building. That’s Advent. Days of detail, building up to the threshold of Christmas. Don’t wish it away. Soak it in. If you’re interested in more from Minnesota Wonderer/Minnesota Transplant, don’t miss my new blog about renovating the 119-year-old church. Start reading here at ChurchSweetHome.com. My favorite type of art is found-object sculpture. In a country where the average America tosses five pounds of trash per person per day into its landfills, according to a 2010 Yale University research study, you’ve got to appreciate when a clever artist turns garbage into an objet d’art. Recycling at its finest. As I waited to board a plane recently, I looked up and noticed this beautiful wall piece. Get it? A sculpture called Salty Peanuts in an airport? An environment where peanuts is practically a food group (or, at least, it was before the modern era of food allergies). Even better is a found-object sculpture that is actually functional, like this menu board outside the Bull & Bear restaurant in the Waldorf Astoria, Orlando. Look closely at the stand. It’s made of cutlery and kitchen implements. And how about that palm tree in the corner? Clearly, the trunk is made of wine corks (and the coconuts are made of champagne corks). The leaves? Forks. Forks! But perhaps the cleverest found-object sculpture I saw recently were these robot portraits hanging above the bathrooms in Alexis Baking Company in Napa (if you don’t stop in for the art, drop by for the Huevos Rancheros — served on crispy corn tortillas with black beans and topped with perfectly poached eggs and fresh pico de gallo, they’re the best I’ve ever consumed). She-Robot and He-Robot are made of old computer motherboards plus kids’ shoes and back scratchers and other paraphernalia. If you’re in too much a hurry to look up when you’re trying to determine which bathroom to enter, check out those little signs on the doors: A donut and a cream-filled eclair. Well, it’s funny to those of us who are gender-conforming anyway. Touché, Alexis Baking Co. There was also a surprise inside the ladies’ room (a good one). That image above the vanity is actually a freehand-cut mirror reflecting the painted sidewall. So every woman who washes her hands after a meal gets a nice piece of pie for dessert. Perfect. This is not a post about why you should go to church. That’s your call. This is a post about why I go to church. For me, Advent is the best time of year to spend some time in church, to be observant to the reason for the season. Christmas is all crowds and traditional-in-the-extreme music (let’s just say I’m not a fan of “Silent Night, Holy Night”). Lent, too, is a run-up season, preparing Christians for Easter, but Lent and Easter are solemn. The messages are heavy on crucifixion and death (yes, and rising again, I know, but rising from the tomb). I went to Mass last night for the first time in years, maybe even a decade. It was a beautiful quiet service in an enormous church where hundreds of people were doing the same thing I was — celebrating the new church year. I was reminded how lovely is the ritual of Mass, so familiar and universal. 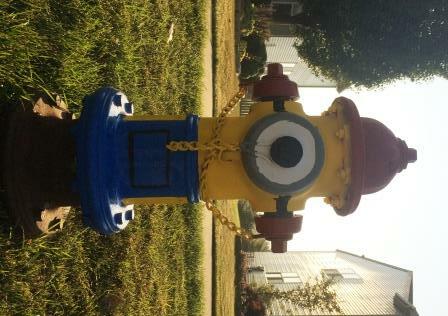 Didn’t know you can adopt and paint a fire hydrant? Well, in Hampshire you can. 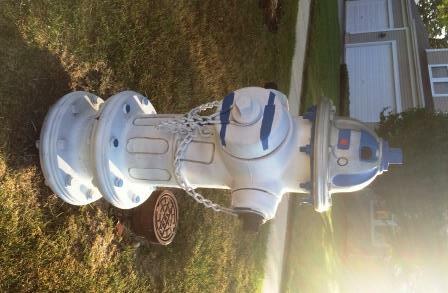 Check out the original post with photos of other painted hydrants in town here. In this town, bugs and butterfly graffiti is as close as we get to public art. The bees look happy anyway. Insiders: Know where the title for today’s post came from? Let’s just say it has Superstar status. Woe to the lowly fire hydrant, mostly ignored or regarded as invoking a parking restriction. Unless it’s your house that’s on fire, and then its magnificence is evident. You can adopt a dog. You can adopt a baby. Heck, you can even adopt a new lifestyle. But did you know you can adopt a fire hydrant? Well, in Hampshire, Ill., you can. 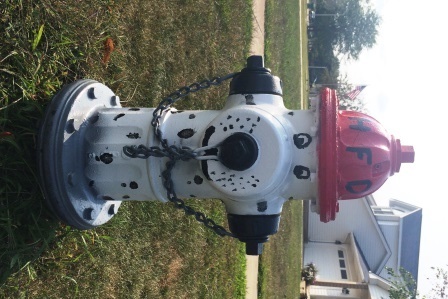 Along with the responsibility to maintain the area around the hydrant and clear it of snow in the wintertime, the hydrant supporter earns the right to paint his or her hydrant, says Mike Reid, village trustee. Modeling a program on Geneva’s Art On Fire program, Reid plans to get traction for hydrant adoption by hosting a contest next year and offering prizes to hydrant artists. “You can paint it any way you want to as long as you get the artwork approved, maintain the design for at least a year and avoid anything obscene,” Reid told me. Oh, and this is a painting project, not a sculptural one; artists cannot affix anything in any way, shape or form to their hydrants. Rust-preventative paint is required (i.e., Rust-oleum). It’s not a passel of artists without a Photorealist in the bunch (an art style where the illusion of reality is created through paint). 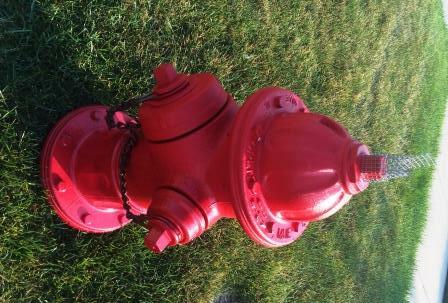 What’s a fire hydrant if not good ‘ol true red? Note the attention to detail: the artist on Kathi Drive left the chain in its natural rust color. Not sure what alien transmissions that little mesh hat is designed to ward off. Not to be outdone, this White Oak Street artist choose a more traditional Realism approach. If Rust-oleum doesn’t list this shade as Fire Engine Red, I don’t know what is. Careful inspection of this photo reveals even bits of grass around this hydrant are red. A little ways down White Oak Street, another artist went the route of Precisionism, an American movement whose focus was modern industry and urban landscapes. R2D2 fans, take note. Animation art in the Pop Art movement clearly inspired this Centennial Drive artist. Here’s looking at you, Carl the Minion. On Warner Street, the artists (self identified as Reid and his wife) adopted the Painterly style. Note how the dalmatian’s spots celebrate the use of paint through evident brushwork and texture. I’m waiting for some artist to employ Impressionism (think Monet and the art of light) or Abstract Expressionism (Jackson Pollack anyone?) in their design. Or even better? Let’s see some Dadaism (oh, don’t be absurd). 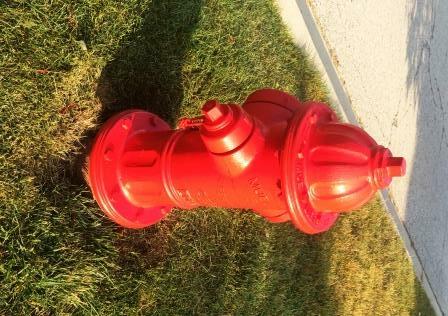 Want to adopt a hydrant in Hampshire? Lt. Jeanne Maki at the Hampshire Fire Protection District to claim your hydrant and learn program details.